London - British researchers are launching a study to determine whether footballers are at an increased risk of dementia as concerns grow over the potential long-term dangers of heading balls. The new study, "Football's Influence on Lifelong Health and Dementia Risk" (FIELD) will start in January and will be led by Dr William Stewart and colleagues at the University of Glasgow and the Hampden Sports Clinic. Co-funded by the Football Association (FA) and the Professional Footballers' Association (PFA), scientists will look at the physical and mental health outcomes of about 15 000 former professional footballers and compare them to the wider population. The issue has been on the national agenda since former England and West Brom star Jeff Astle died in 2002 from what the coroner described as an "industrial injury". Famed for his prowess at heading the ball, Astle died of a degenerative brain disease which was later identified, by Dr Stewart in 2014, as chronic traumatic encephalopathy (CTE), a condition traditionally associated with boxers. Since Astle's death, the families of dozens of other ex-footballers, including several from England's 1966 World Cup-winning squad, have come forward to reveal their stories of dealing with dementia and related illnesses. Former England captain Alan Shearer recently fronted a documentary highlighting the case of Astle, who was 59 when he died. 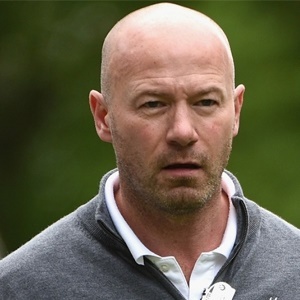 Shearer, the Premier League's all-time leading goalscorer, has voiced his own fears that he may be at risk of dementia and has called for more work to be done. The FIELD study will answer a specific question: "Is the incidence of degenerative neurocognitive disease more common in ex-professional footballers than in the normal population?" "In the past decade there have been growing concerns around perceived increased risk of dementia through participation in contact sports, however, research data to support and quantify this risk have been lacking," said Dr Stewart, who is based at Glasgow's Queen Elizabeth University Hospital. "Through the FIELD study we hope to be able to provide some understanding of the long-term health impact of football within the next two to three years." FA chief executive Martin Glenn said the research will be "one of the most comprehensive studies ever commissioned into the long-term health of former footballers". Gordon Taylor, Glenn's counterpart at the PFA, said the players' union "is and always has been committed to a duty of care for all past, current and future members".